Madder is an evergreen plant native to the Old World. Rubia Cordifolia roots give very light red tint on hair, but when mixed with henna, they make henna’s colour more deep and long lasting. - It enhances colour of henna in most natural way. Colour becomes stronger with richer hues. A perennial herbaceous climber, manjishta grows to a height of 1.5 meters. The woody based stem is long, rough and grooved. 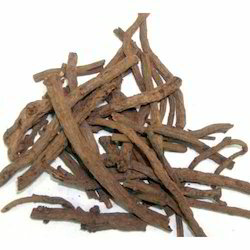 Madder roots are obtained from the madder plant, scientifically known as Rubia tinctorum. These roots are most known for producing bright red dye. As one of the top-notch firms in this business, we are involved in offering Madder Root Powder. 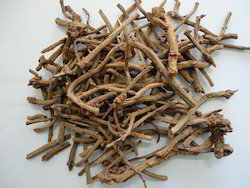 Appreciated for its medicinal value, Madder Root is fermented for dyeing as well as used to produce spirit. The products are stored and packaged in hygienic environment under expert supervision. We ensure that the products remain free from contamination and reach the specified destination within stipulated time.